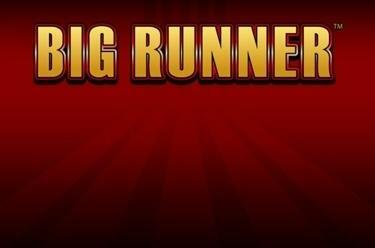 Play Big Runner™ online for free now! 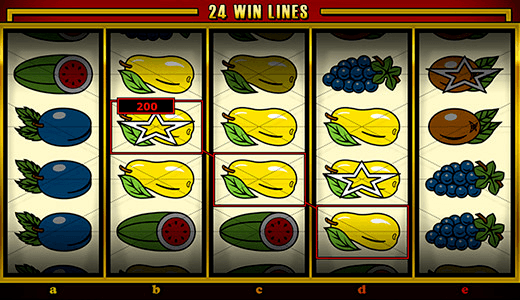 Who doesn't know the fruit slots that have been an integral part of the casino from the very beginning? Big Runner™ is one of those slots but it comes with two twists that make gaming even more exciting: First of all, you only need a combination of three to win but you can play on five reels. Secondly, there is an extra star symbol that appears on certain regular symbols. How do you benefit? Easy - more chances to find your Twist luck! Three matching symbols on one of the 24 lines and it will rain Twists with Big Runner™! All winning patters run from left to right across five reels. The win lines are arranged in groups: Eight win lines appear on Reel 1 to 3, 2 to 4 and 3 to 5. Any combination of three consisting of a Bell, Plum, Orange or Pear symbol with an additional Star symbol gets you the same win as three regular Stars.